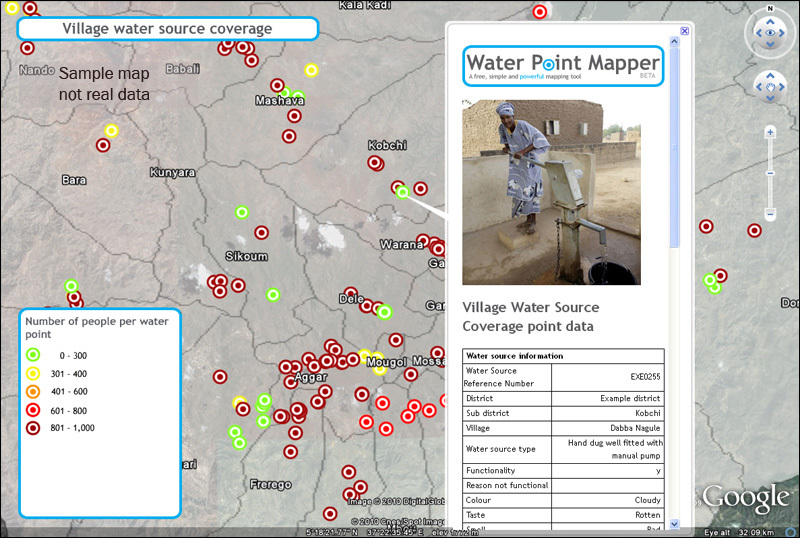 Water point mapping in a Mali village: who drinks from where? 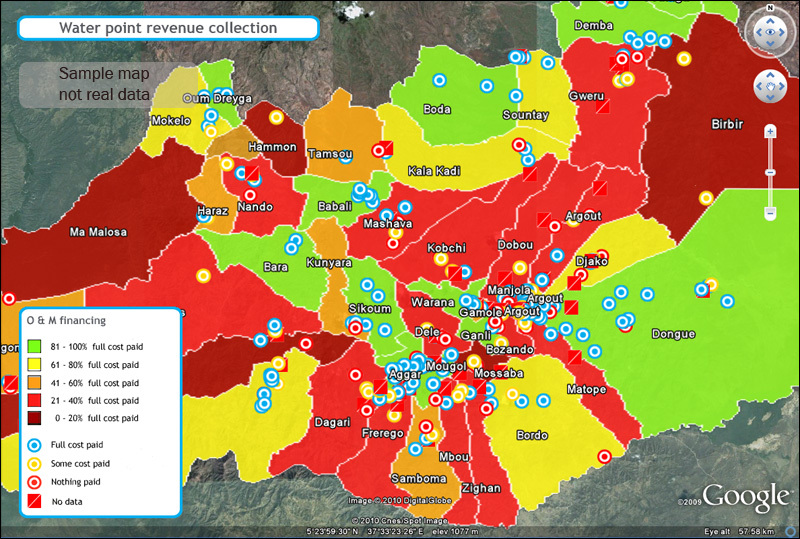 Maps can also be generated with symbols to represent the number of users at the water point, the type of water source, the revenue collection system used, and various other characteristics (click to see the examples from the Water Point Mapper website). 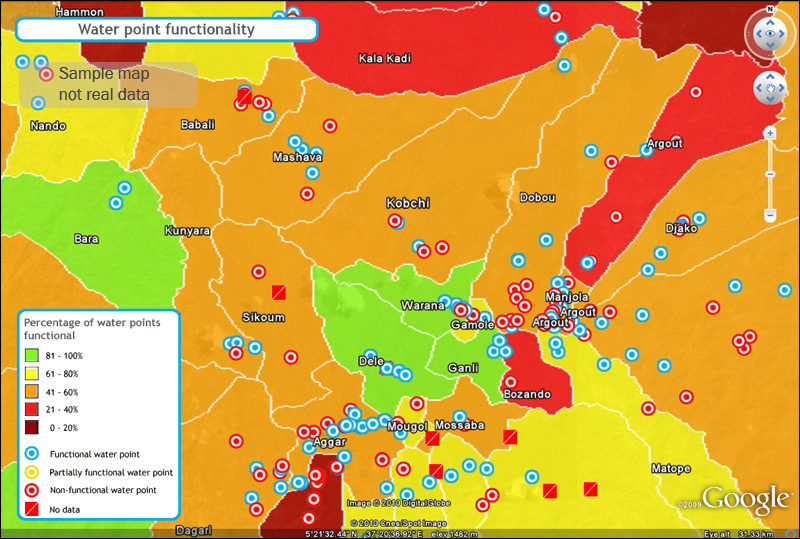 The mapper tool also collates this information to allow comparison of different areas (such as sub-districts or districts), which can be coloured according to the indicators. 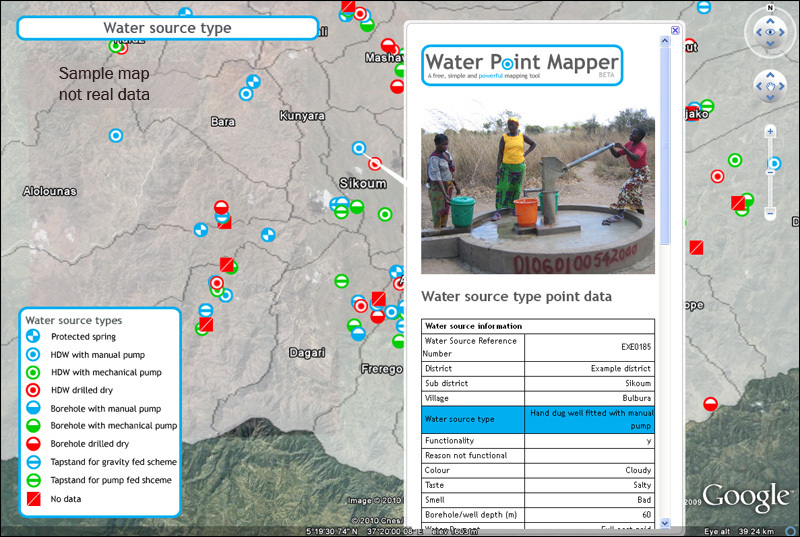 Blue = drilled borehole fitted with a handpump (an ‘improved’ source according to international definitions and national norms). Yellow = modern hand-dug well with concrete lining, metal cover and bucket to draw water (also considered ‘improved’, but with an increased risk of contamination if users leave the lid open or leave the bucket on the ground). 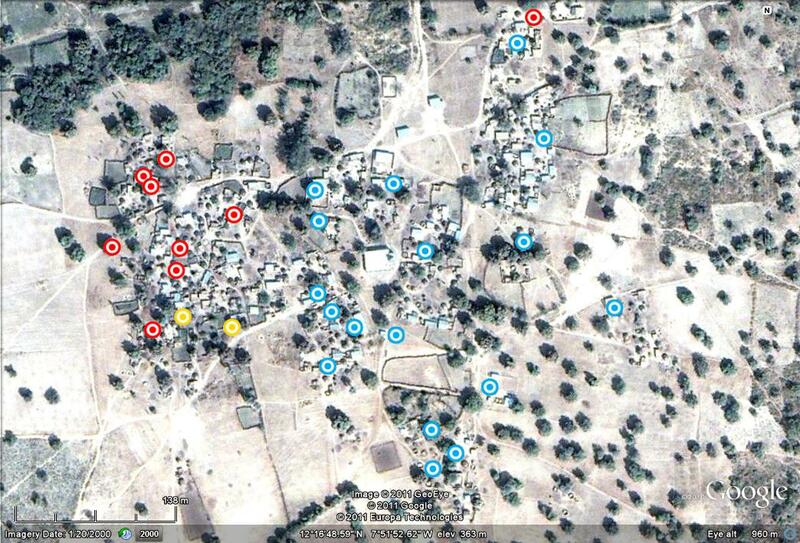 Red = traditional hand-dug well, usually with no lining or cover (an unimproved source because of the high likelihood of contamination of the water). 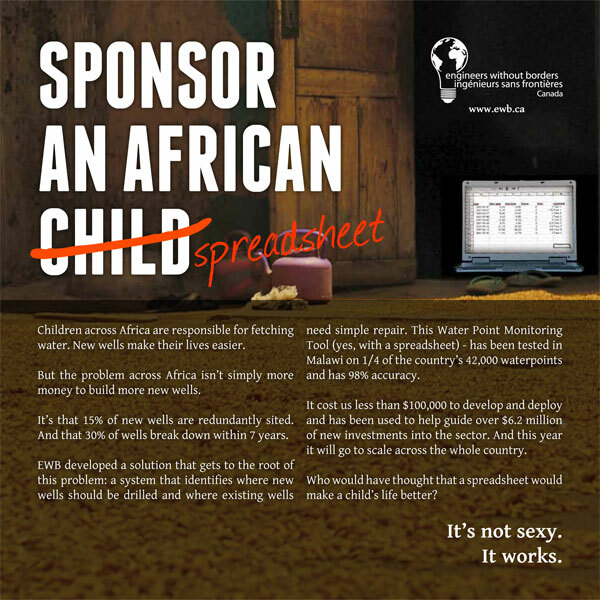 The map shows that about a quarter of the households in the village use traditional wells, rather than improved sources, and that all but one of these households are in the western side of the community.